Are there truly any better photographs to look at than photos of a beautiful home renovation? We’ve been working with Kirkshire Design Group for quite a while now, and to say their work is stunning would be an understatement. They can match any style, vision, or request. 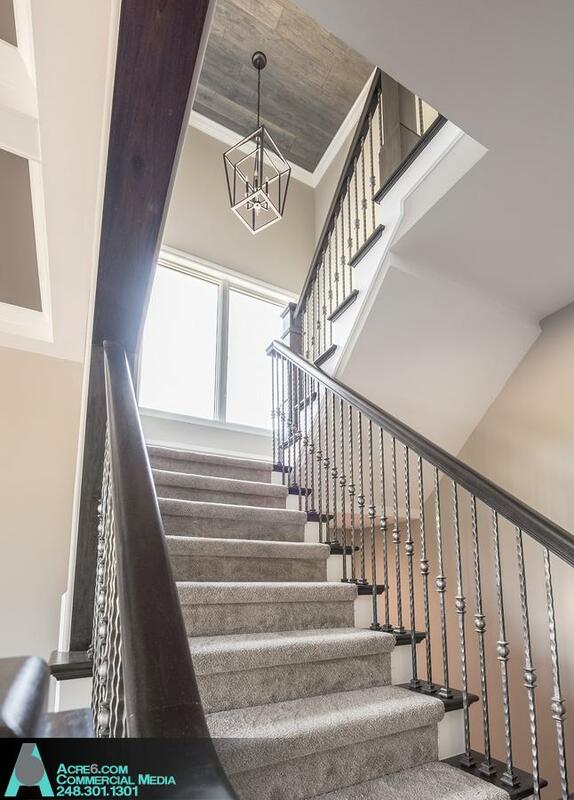 The homes you are about to see are carefully designed and executed – down to the smallest details. We love seeing these homes transform! 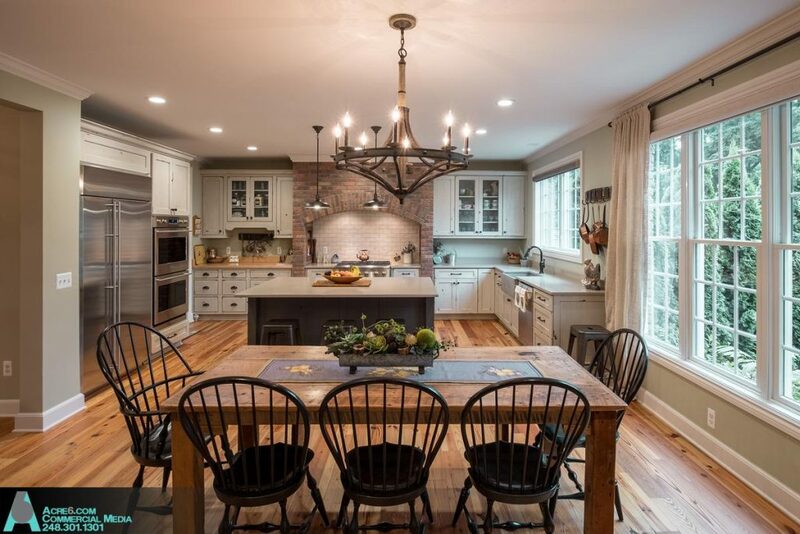 Take a look at this beautiful home renovation photography below. 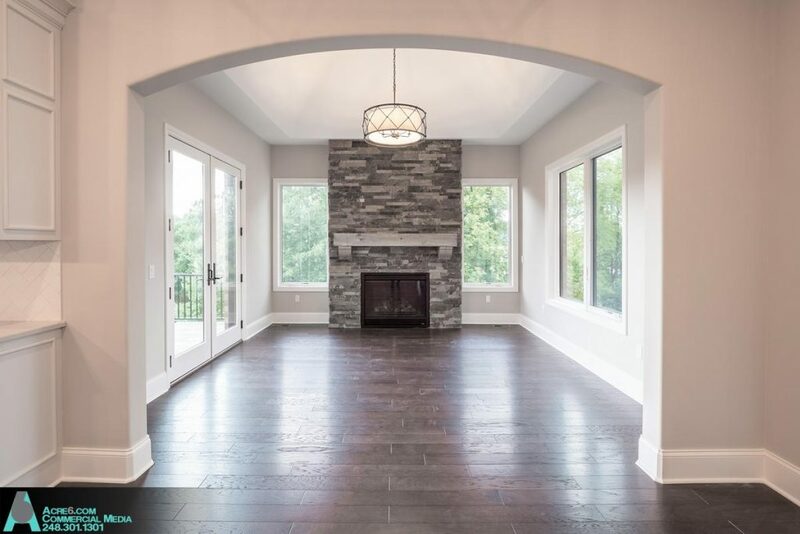 Our first home is unfurnished, but that doesn’t take away from the beauty of this home design. We start in the heart of the home: the kitchen. The rustic touches perfectly complement the modernism of the appliances, backspash, and of course, that granite island. 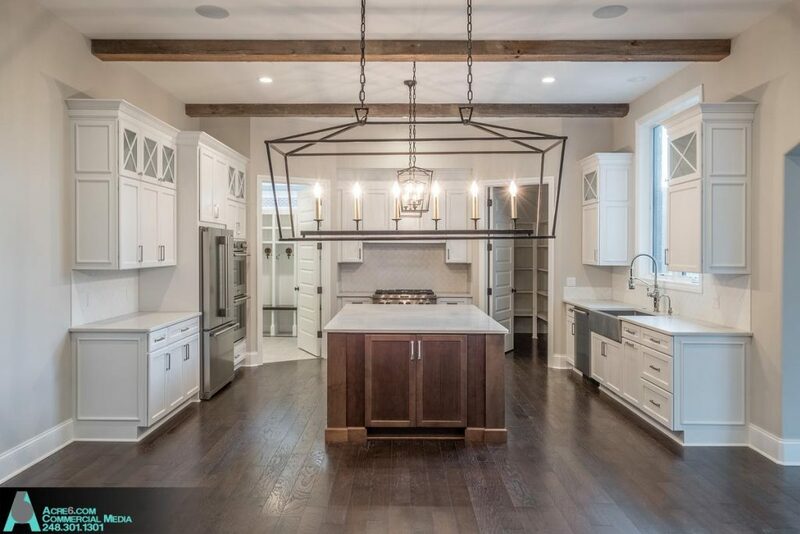 You won’t be short on storage in this beautiful kitchen! 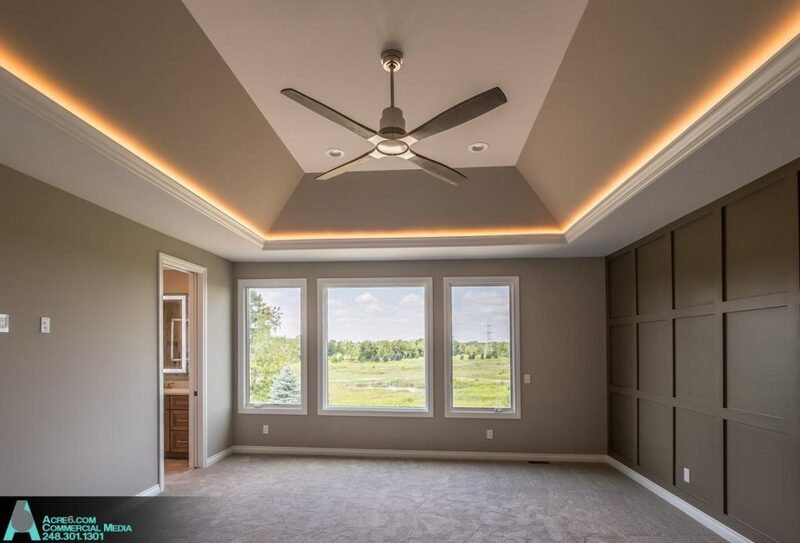 We love the soft uplighting in this bedroom – what a cozy glow! We’ve all been in hotel bathrooms and thought, “how do I take this lighting home with me? !” Well this homeowner has done just that. 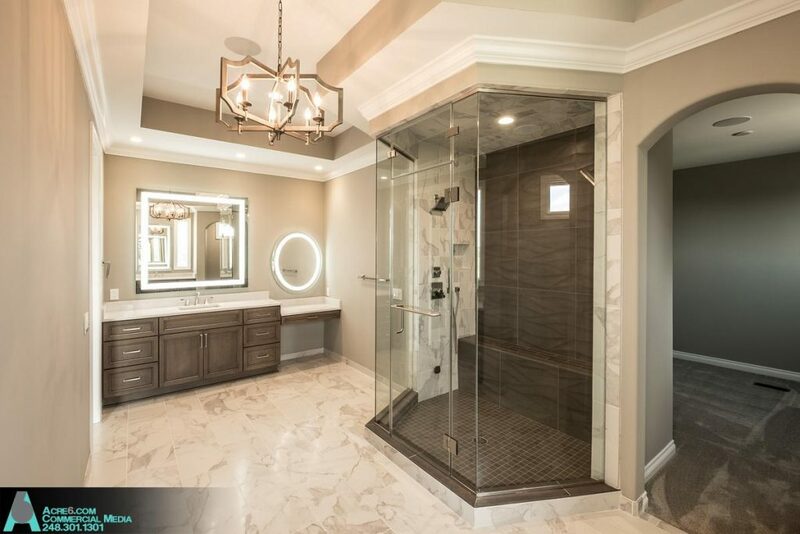 The mirrors with built-in lighting are almost as impressive as this gorgeous shower! 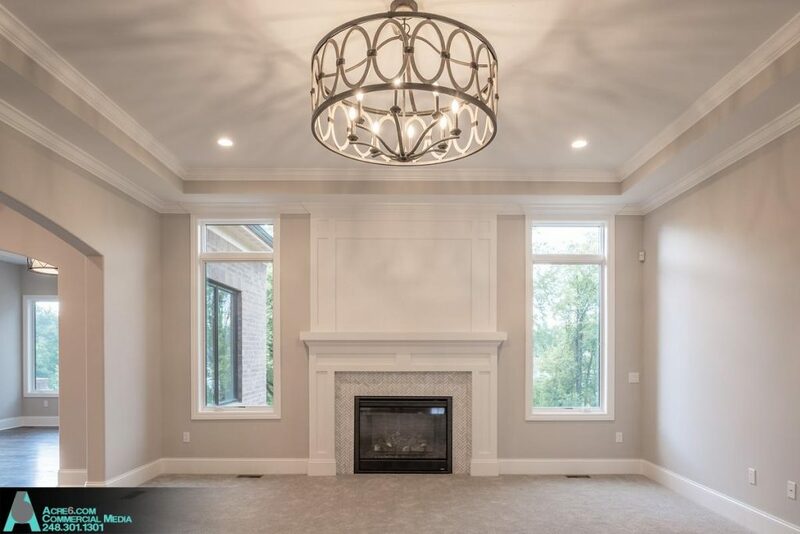 Our next home takes a new look on “traditional” style and brings it right into the 21st century. This stately home was completed a while ago, and the design choices inside the home are just as impressive as the outside! Before we head inside, though, we have to stop off at this amazing outdoor living space! 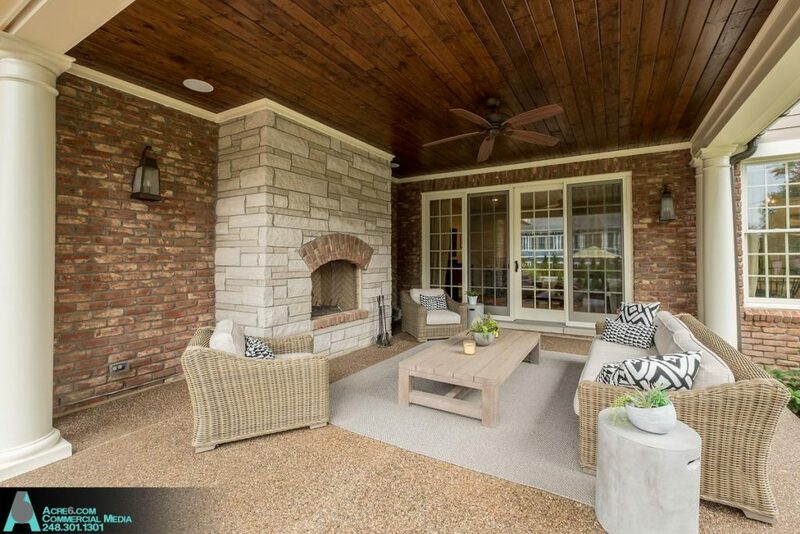 Who wouldn’t want to sit in front of this lovely outdoor fireplace?! 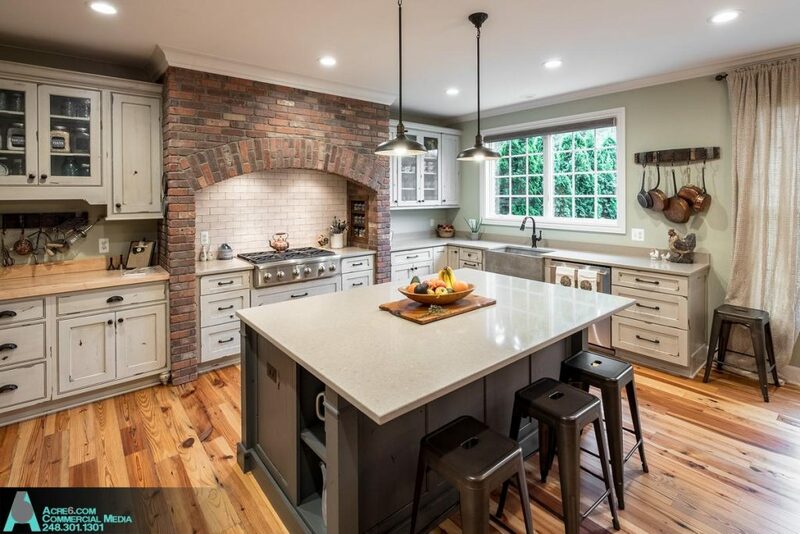 There’s nothing we love more than a kitchen with the perfect blend of colors and textures, and materials. This red brick arch covering the stovetop is a perfect example of this. It reminds us of a large brick oven – beautiful! 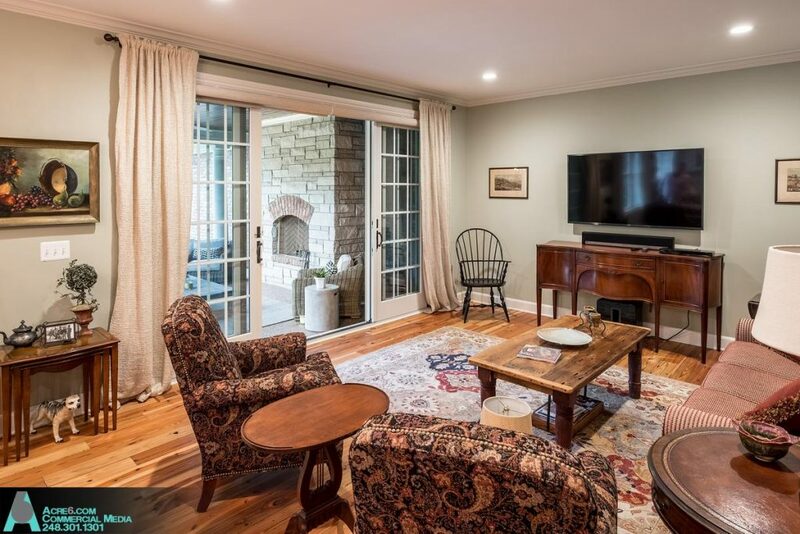 This traditional living room is so tastefully done, and we can see hints of that outdoor fireplace through the paned sliding doors. We love it! 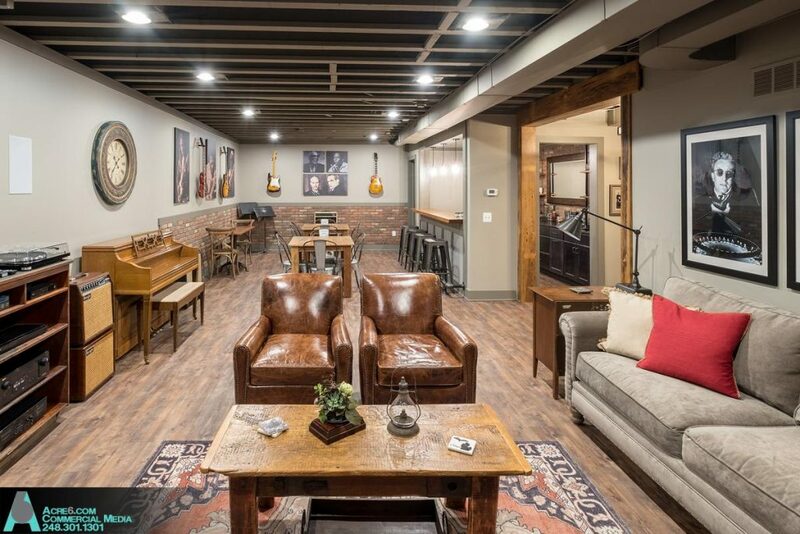 In true “man cave” fashion, the basement is outfitted with overstuffed leather, a full bar, guitars, and a record player. What an amazing space! 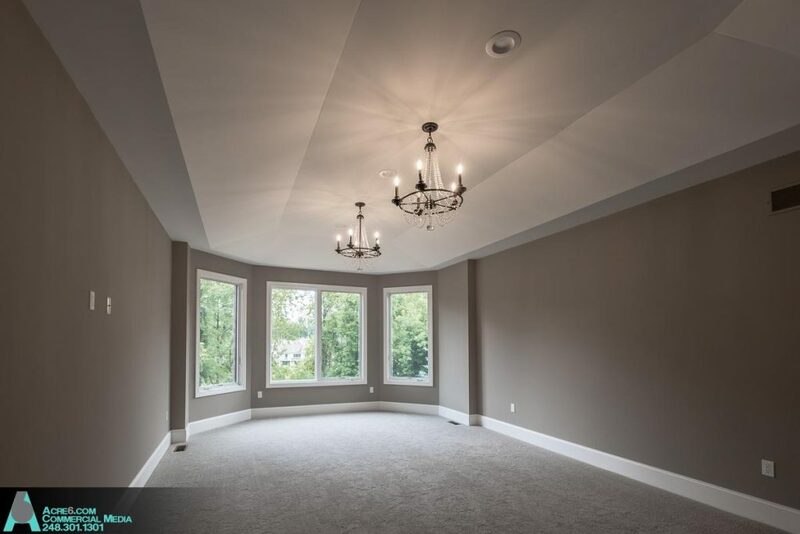 Our last home is also unfurnished, but the use of space in this home is simply breathtaking. 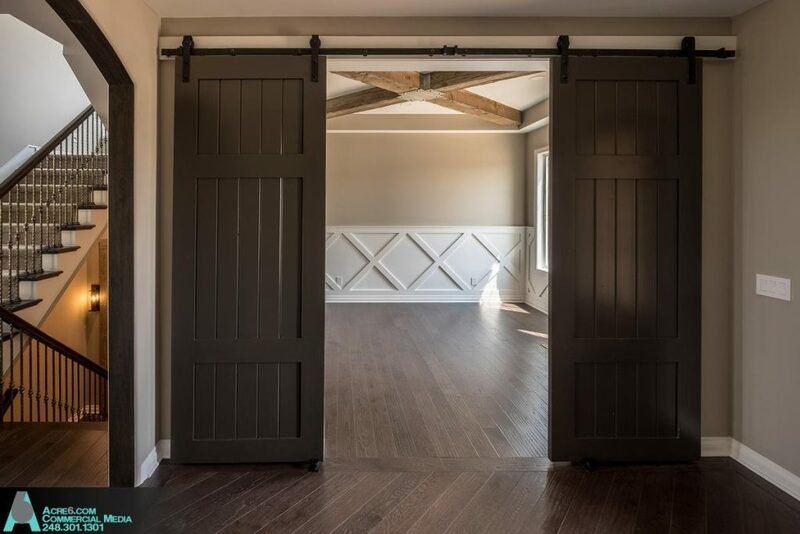 This home is full of wide open archways like the one below, large windows, and natural light. This bright, open, airy home is what homeowners dream of! This white kitchen has got to be one of our favorites. The clean lines met with the warmth of the wood-toned island are the perfect pair. 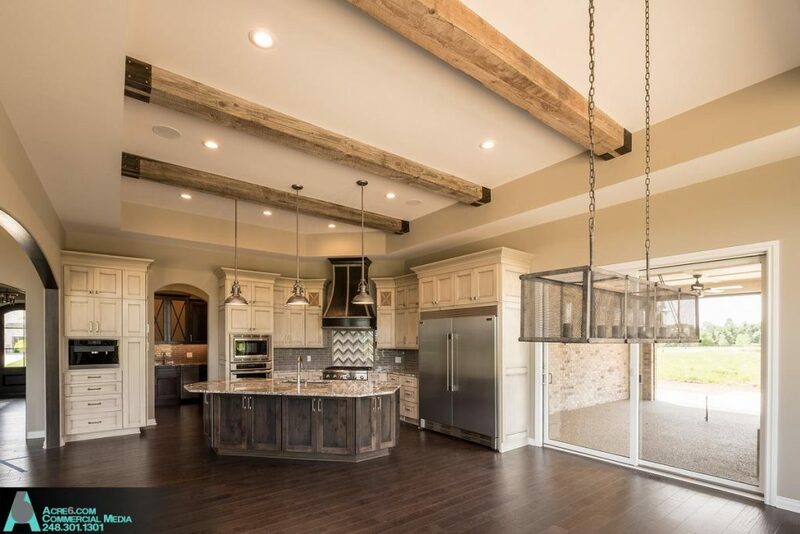 This kitchen is a true open concept, attached to the living room that can be seen in the next photo. Sign me up to take a bath in this bathtub! 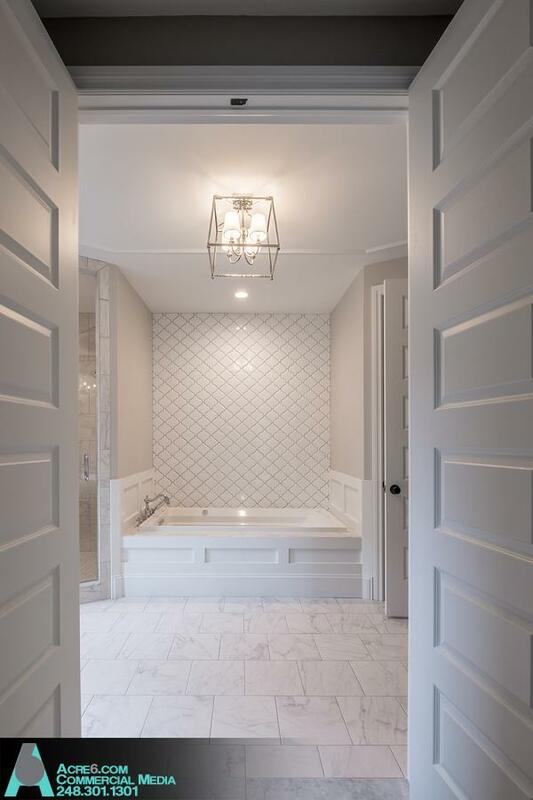 From the light fixture to the double doors to the tilework, everything in this photo is perfection. Kirkshire Design Group always blows it out of the park, and they make our home renovation photography easy. Thank you for trusting us with your work, Kirkshire! 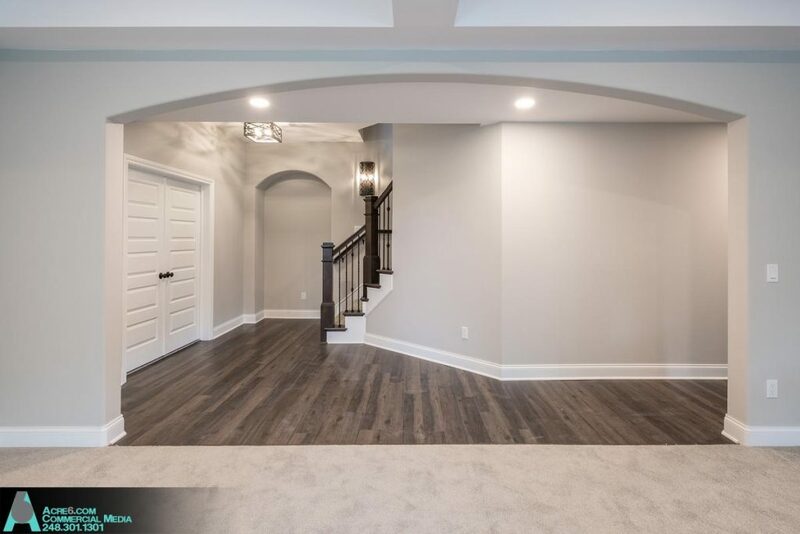 To see more Home Renovation Photography, click here!